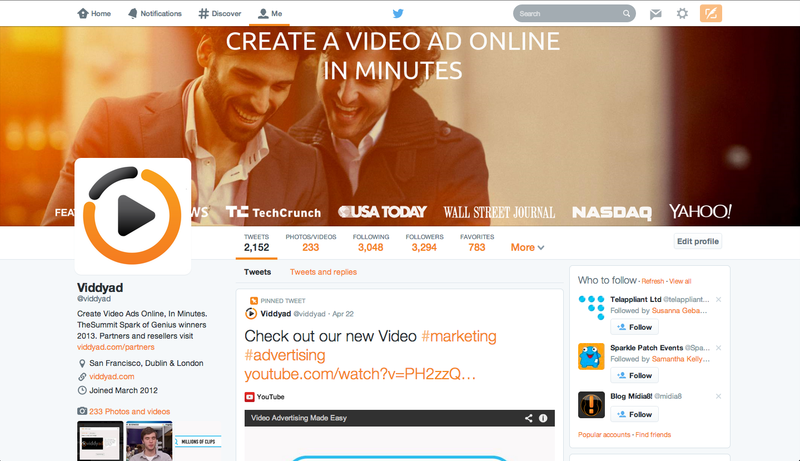 ViddyAd / Quick Video Ad tips / Twitter wants you to use video! Twitter wants you to use video! By now most users will have switched over to the new Twitter layout. If not, click here and you’ll be guided to updating your profile layout. In the past few months Twitter have ramped up their media sharing capabilities firstly allowing tweets with photos/videos to expand when clicked, then allowing users to upload multiple photos at once from the Twitter mobile app and now putting increased emphasis on photo and video sharing. The photo/video tab is now second on your home profile tab. Videos are now embedded into Tweets and not just linked. This gives a cross between a Pinterest/ Facebook layout to the photo/video tabs. This is sure to bring more video sharing from both personal and business Twitter accounts. Twitter has caught on to the fact that posts with videos attract 3 times more inbound links than plain text posts. 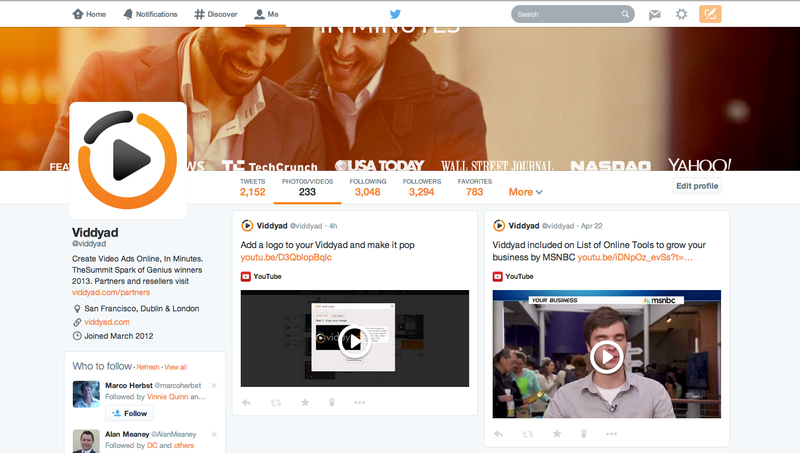 So make sure that you take advantage of the new layout and share your company’s video ad on your Twitter profile! Twitter users can now pin a tweet to the top of their profile, similar to LinkedIn. The banner image has increased in size and a ‘filtered tweets’ option has been added, which allows you to choose how you view other Twitter users profiles.